Can I add a screened porch onto a townhome? For those with homeowners associations, it can be difficult to get home improvements approved. With a townhome association, it can be even more difficult to get a home addition approved. We just completed a screened porch working with townhome owners in Leawood KS. It’s important to select a builder that not only takes care of all the necessary permitting, but to select a builder that will work with your HOA to gain approval for the home addition. Often times this will require multiple visits and some revisions. 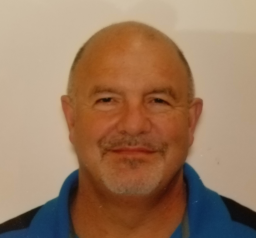 When you select a contractor, make sure you work with a contractor that is experienced with handling all the drawings, permitting and inspections. We are your trusted Leawood KS screened porch builder. These homeowners were particularly discerning as they both are in the home improvement industry. 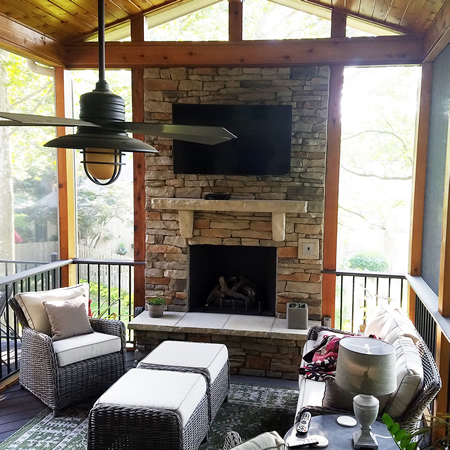 You’ll appreciate their attention to detail in the design and material selections they made for their new screened porch and outdoor fireplace. The homeowners carefully selected a number of beautiful materials for use on their new screened porch. Selecting materials for your new outdoor project is fun yet challenging as there are many different options for each component of your new space. The material options range in quality, price and maintenance levels. See more screened porches by Archadeck of Kansas City. These homeowners chose a couple low-maintenance materials for their porch. The low-maintenance flooring is AZEK in dark hickory. The contrasting railing is iron railing from Fortress. Natural materials beautifully contrast the low-maintenance materials. Cedar is used for the posts, for the headers and also for the tongue-and-groove ceiling. The final key material selection is the stone used for the fireplace facade. The hearth is capped with concrete slabs. The mantle and corbels are also concrete. See more outdoor fireplaces by Archadeck of Kansas City. You may notice that the porch is long and narrow. There width of the addition was restricted so this porch has a generous 20’ length. 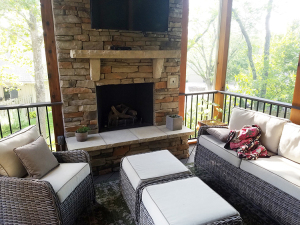 If you’re considering adding a porch, outdoor fireplace, deck or other outdoor living space to your Kansas City area home, give us a call for a free consultation. We want to help as you make your choices and explore any restrictions such as HOA’s, building codes, setbacks or other restrictions. Call us at (913) 851-3325 or email us.